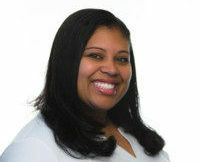 Alicia (THF ’03) has created spots for ABC, The CW, Nickelodeon and more! Check out her portfolio here. When I was a kid, I used to sit on the floor in front of the TV, watching cereal commercials and then re-writing them and developing what I thought were ‘better’ marketing campaigns. Then when I was 12, and I saw Whitney Houston’s character in Waiting to Exhale – she was a producer – I knew immediately I wanted to be a producer. Even though I had no idea what a producer did at the time, I knew that I had to be one. Based on that, I’m pretty sure production chose me, not the other way around. My THF internship experience was amazing. First of all, I had the chance to live in NY for a summer (I’m originally from Maryland) and get the full NY experience as a 19-year-old. I also had a unique internship at IFC, where I spent 2-3 weeks in 4 different departments: PR, Affiliate Marketing, IFC Films Finance, and Development. That was 15 years ago and I still stay in touch with some of my supervisors from IFC. One event that stood out was the IFC Films premiere event for Camp – I worked the event and it was my first time meeting celebrities (like Ashanti) and working a red carpet. I was hooked! I wrote press releases in PR, and read show pitches and watched pilots in Development. It was all so fascinating to me that these were jobs, and you can actually get paid to do these cool things. I also learned that Affiliate Marketing wasn’t really exciting for me. It’s just as important to know what you don’t want as what you do want. I would say that upcoming interns should keep an open mind about what they want to do in the industry. There are so many different jobs, it’s impossible to learn them all in school. I thought I wanted to make movies, and then when I started working in On-Air Marketing, I immediately fell in love, and I’ve been creating marketing content ever since. I didn’t even know what ‘On-Air Marketing’ was until I started interning in that department. Keep an open mind, and get all the internship experience you can, so you have an idea of what you like and don’t like. I would also urge every intern to keep in touch with their supervisors over the years, especially the ones you enjoyed. As you grow in your career, those bosses are growing too and making job changes. You never know when they may want to hire you again down the road! And by ‘stay in touch’ I mean email them a couple times a year, or meet for coffee or lunch annually, and share your accomplishments.